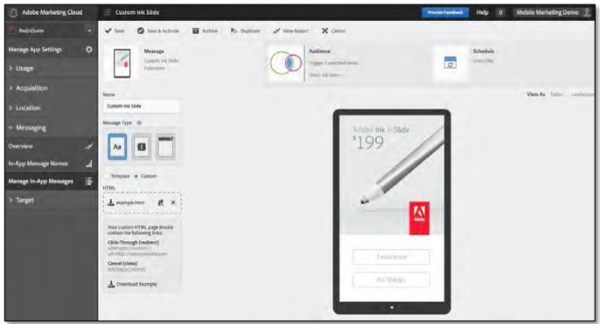 Adobe Inc. announced a major update to its Marketing Cloud platform on Tuesday with a suite of new capabilities that will help its users both target customers using mobile devices and use mobile devices to get their work done. The Marketing Cloud, which includes six Adobe products with Media Optimizer, Social, Experience Manager, Target, Campaign, and Analytics, is already seeing a ton of mobile activity, according to the software vendor. It processes 2.5 trillion analytics transactions annually and has seen 10 million downloads of its digital publishing apps. Its latest batch of updates make the service even more geared towards mobile campaigns. New in-app messaging capabilities that will be triggered based on proximity to iBeacons (or presumably, other Bluetooth low-energy beacons). Using Adobe Campaign, marketers will be able to create and publish messages that get triggered based on beacon proximity and a user’s interaction with it. 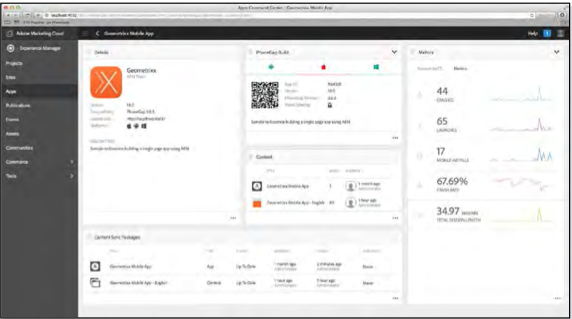 Then using Adobe Analytics, marketers will be able to track those interactions. From there, marketers will be able to create audience segments using that location-based information and extra personalization features for emails that can be sent based on iBeacon interactions. Using the new Digital Content Editor, marketers will be able to design email messages that have responsive design and are optimized for mobile. Adobe Experience Manager is being updated with a new App Dashboard. It will help marketers get a real-time glance at how apps are performing, and multiple apps can be monitored in one view. When a new mobile app is being developed, a preview mode will allow developers and marketers to test the app’s performance during all stages of the production. Adobe Media Optimizer is being updated with a mobile search advertising management console. Users will be able to track all their mobile campaigns and use this software to conducted automated mobile bid adjustments to place their ads at the best possible prices. Users will be able to reliably forecast expected clicks, the cost-per-click, and the revenue generated by the ads. 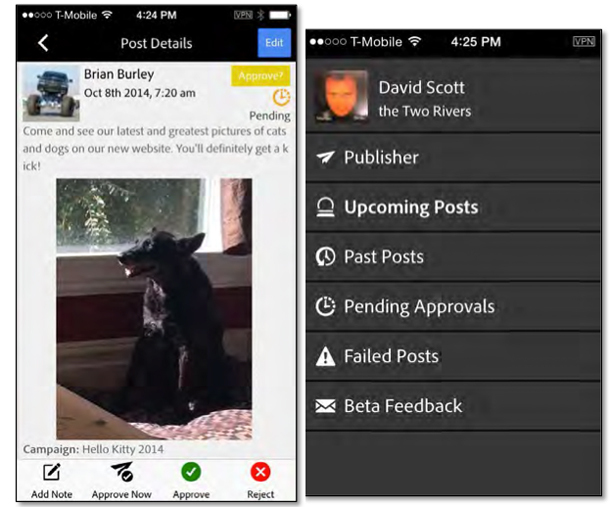 Adobe has a new social app that you can use to manage all your company’s social activities from a mobile device. It allows for approvals and publishing of social media messages, uploading of photos or videos, and collaboration with your team. The app will be available in beta mode first for iOS and the first social networks supported will be Facebook and Twitter.